"Your image counts! Not only is it the first impression of your company, but your ticket to many potential customers"
EBTCO is your total resource for all creative design services, whether you need to approach your customers through print advertisements or online mediums. 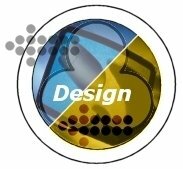 Allow our designers to use their superb expertise in creating the effects you are after. Through us, your projects are an investment for the future. You will receive a copy of all source files on CD-ROM for any necessary adaptations for new projects down the road. EBTCO has you covered.